"The Pack for busy families"
Join in the ADVENTURE, Build CHARACTER, Make MEMORIES! Participate in family activities including: camping, hiking, local field trips, sports, academics, and more. The Cub Scouts is a private, non-profit youth organization that is dedicated to building strong minds, bodies and souls through the 12 core values and fun-filled enrichment activities. Pack 602 meets collectively one Sunday a month at Life Bible Fellowship Church in Upland, California, and offers one weekend outing per month that fits into every parent and child’s busy schedule. Pack 602 wears a "waist up" only uniform. Jeans or Dark blue pants/shorts may be worn. The new location is at 4650 Arrow Highway Suites B1-B3 in Montclair. 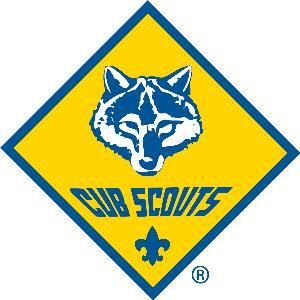 It's in a great neighborhood, has more parking and the Scout Shop is 60% larger! Directions: From Interstate 10, exit at Central Avenue then go north to the Arrow Highway. Then travel West approximately 1 mile. The Montclair Business Center is located just past the Montclair Police Station on the North side of the street. Between Monte Vista and Mills.